On yesterday, I posted a list of “7 Ways that RapGenius Assists Digital African American Literary Scholarship.” Today, I decided to do a follow-up post to illustrate exactly what I meant by providing actual examples on the RapGenius website. RapGenius’s crowd-sourced, multimedia platform helps users to fuse social networking and online databases to create digital resources to study black writing. 1) RapGenius demonstrates how scholars of African American and American literature can engage in digital humanities through collaborative web-based projects. When annotating Barak Obama’s 2012 Presidential Acceptance Speech, over 30 users on RapGenius contributed to this process. After clicking on the link, scroll down the right hand side and look under the heading, “PROPS TO THE PEOPLE WHO EXPLAINED 2012 PRESIDENTIAL ACCEPTANCE SPEECH” to see a list of those who helped to explain the speech. 2) RapGenius’s multimedia annotation system encourages the use of text, images, videos, and sound bites in the explication of texts and lyrics. In Nikki Giovanni’s “Ego Trippin” the first line is described using text, image, video. The actual description makes use of a video clip from a 1991 episode of A Different World as well as a hyperlink to a Wikipedia article providing more information on human beings. 3) RapGenius, through its social media platform and easily accessible crowd-sourced annotation system, encourages its users to be active in the production of knowledge on African American literary texts. 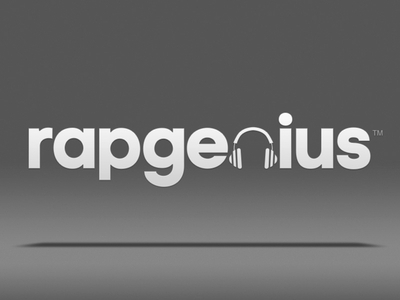 RapGenius awards its users points, also known as “Rap IQ,” which encourages its readers to annotate more songs and texts to move up in ranking on the website. 4) RapGenius’s digital glossary of poetic terms provides immediate access to definitions that aid in analyzing literary features in a given text. At the click of your fingertips, a user has access to complex poetic terms. These terms ranging from terms such as “allegory” to “zeugma” help readers to clarify the importance of poetic devices. 5) RapGenius’s explanations addresses barriers between readers and texts by assisting users in decoding language use, thematic content, and historical details. 6) RapGenius’s growing body of African American literary texts fills a void in terms of digital accessibility to essays, poetry, and select novels by black people. The website has a growing presence of texts by black writers. Here, you can browse through the poems by Langston Hughes that are on the website. The website provides a central location to access texts online. 7) RapGenius, through its use of hyperlinks, creates a field for cross-fertilization that offers a variety of interlinked online sources,videos, or interviews for further reading on particular subjects in the explanations. In “Ego Trippin,” Giovanni uses many historical references in her poem. The explanation provides further details to help contextualize the content of her poem. In this example, hyperlinks are provided that offer more information about her Hannibal and Rome references to clarify for the reader its importance.